Advances in facial recognition technologies have changed how we create content in both education and business. Taking advantage of this new technology we have seen it integrated into cameras for a variety of different purposes from big data to unlocking your cell phone. One of the more interesting and perhaps useful integrations of this technology is in the field of content creation with the introduction of auto tracking cameras. Auto tracking cameras provide a unique video recording and streaming experience that allows for just about anyone to easily create professional looking video that can be distributed manually or shared instantly with streaming services. 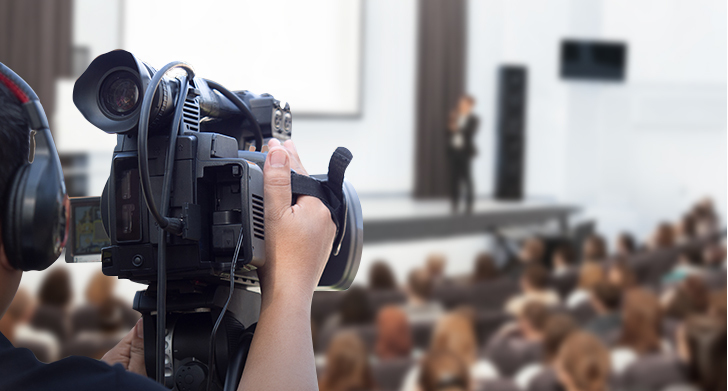 The perfect blend of ease-of-use and cost effectiveness, auto tracking cameras are changing the field when it comes to recording or capturing presentations, shows, and events. Standard content capturing cameras come with some very stringent limitations when it comes to content creation. Namely, they require the use of a camera control mixer for manual control and preset locations in order to effectively capture quality video. They also struggle when capturing live presentations as their FOV must be set far out to capture a targeted presenter as they move. By using an auto tracking camera these types of content creation sessions become a much easier process to record. If your auto tracking camera has a stage function (like AVer's Stage Tracking) you can create content out of nearly any event and boost your content portfolio. Auto tracking cameras make video recording so simple that just 1 person is needed to make the content and that 1 person isn’t even behind the camera. With easy-to-use tracking and instant control from a laptop it becomes simple to make content with a small team. Creating professional looking content can be an expensive endeavor for any one, but one of the most expensive things in the process (other than you) is going to be paying the camera operator. In fact, according to PayScale.com the average pay rate for a camera operator is $16.46 /hr but Chrom.com says payment can fluctuate from anywhere as low as $9.00 to $49.00 /hr and pay averages out for a full time camera operator ranging anywhere from $66,639 and $100,181 annually. You can imagine how this can add to your expenses when you want to create video content. To help alleviate some of these costs auto tracking cameras, especially those equipped with strategic tracking functions, are now playing their part. Equipped with highly sophisticated facial recognition and targeting software, today’s auto tracking cameras are able to provide solid and fluid camera tracking that emulates that of camera operators. This level of technology integrated into these cameras allows users to create highly professional video on a relatively lower budget. No More Standing in One Spot. Move Around! Traditional pan-tilt-zoom content cameras are great for fixed locations, but to create great content you need to have the flexibility to handle any situation. Auto tracking cameras let you do this. 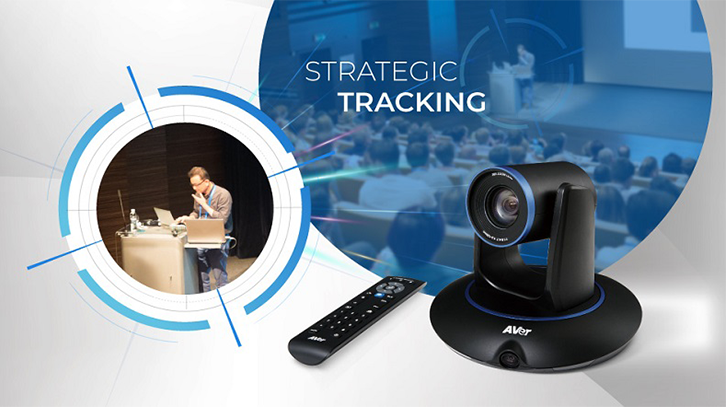 Lecturers can move around the class, salespeople can showcase their entire sales pitch, and trainers can interact with employees without being out of frame, all of these scenarios are more difficult to capture in high quality with traditional content cameras, but with an auto tracking camera they become easy. Advances in tracking algorithms have led to the development of strategic tracking modes that help you meet each recording environment head on and make the most out of your content creation. Auto tracking cameras are an interesting next step in the field of video content creation. By providing a way to lower costs, an easier video recording experience, and accurate and reliable target tracking, auto tracking cameras are making life easier for lecturers, marketers, and sales in every sector. Advances in technology have made it simpler for us to create great video content and share it instantly with our audiences. Auto tracking cameras are the next step in content creation and an exciting frontier in the advances in content capture cameras. Looking to Find out More about Auto Tracking Cameras? Check Out AVer’s Lines of Premium Content Capture Cameras.